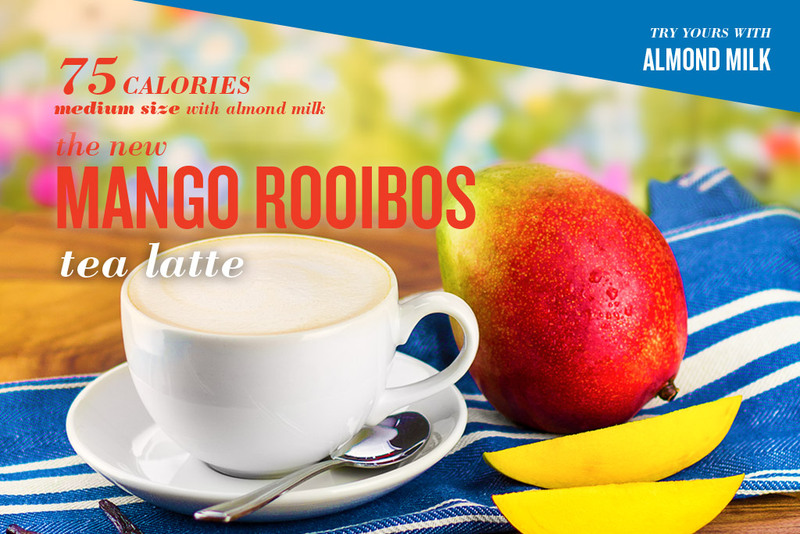 The new Mango Rooibos Tea Latte is a light drink that has organic mangos and almond milk, and it’s sweetened with splash of vanilla. The best part? There’s only 75 calories in a medium size with almond milk. Beach body approved.